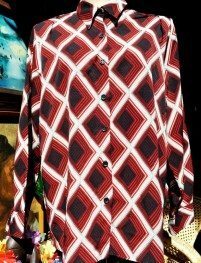 Long sleeved blouse with a head turning dramatic print. In excellent condition. Would suit a size 14 to 16.